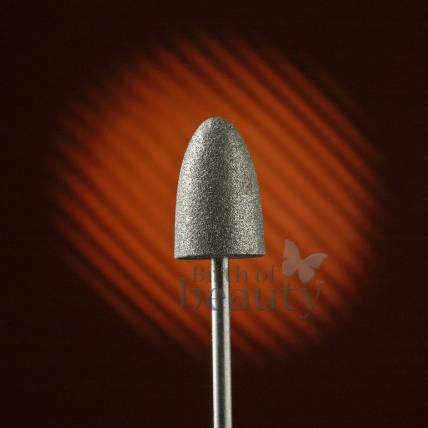 Fine cone for smoothing top of toe nails, removing cracks on the heels and reducing calluses. Helps smooth flaky toenails or toenails with ridges. Can be autoclaved or liquid sanitized. For use with Medicool's ProTouch 1000, Pro Power 30k, Nail Pro 2000, TurboFile 2400 and PediNova III also: KUPA, ASEPTICO, BRAVO, BUFFALO, NAIL LABO, LASCO, DREMEL, ERICA's. 3/32" shaft.